Course Website: Official Website - Visit Tralee Golf Club's official website by clicking on the link provided. 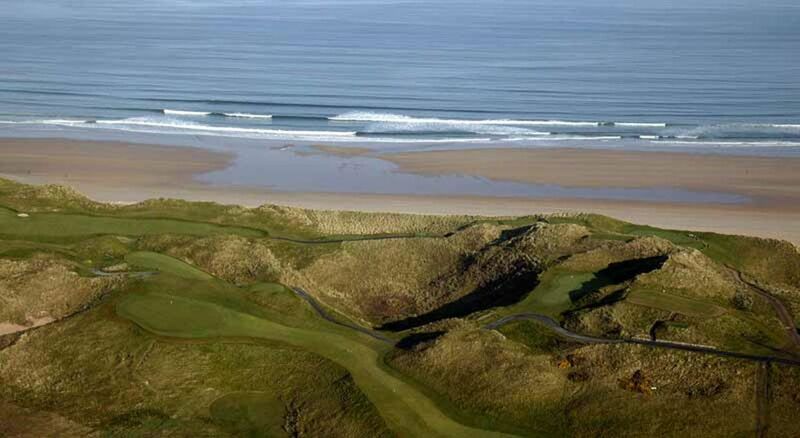 Accolades: Ranked 4th in Ireland by Golf Course Gurus. What to Expect: Tralee is a treasure. It has few rivals in the world from a scenery perspective and a collection of holes that are as memorable as any course you'll find. While a common criticism is to say the front nine is not as good as the back, it should be noted that is solely due to how phenomenal the back nine is and not because the front is weak. In fact, holes 2, 3, 7, and 8 are all fantastic holes with 2 and 3 being two of the best on the property. 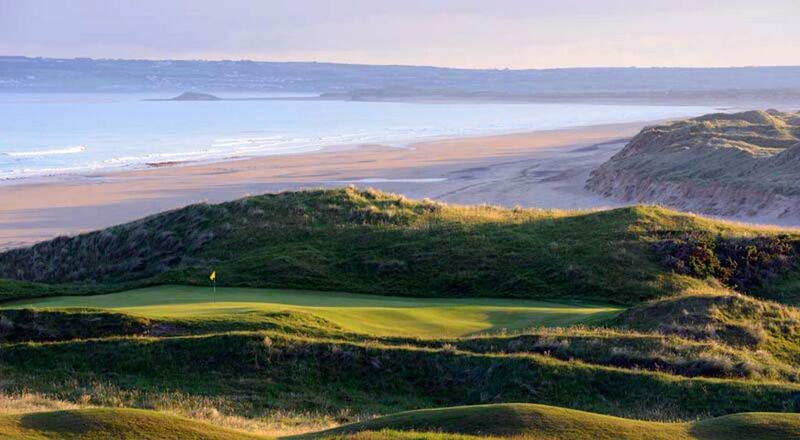 Located in southwest Ireland on a parcel surrounded on three sides by the Atlantic Ocean, impressive vistas are found throughout the round and the dramatic dunes coupled with the cliff tops on the back nine create a magical location for hosting a golf course on. Holes 11-17 stand as perhaps the best seven hole stretch in golf and one that I could never tire of playing with the great variety, challenge, and views. 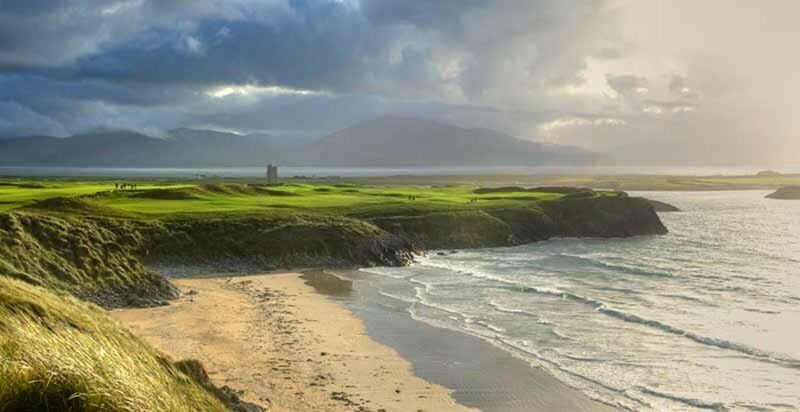 Comparisons between Pebble Beach and Tralee are natural given their stature among public courses in their respective countries, but when it comes down to it I give Tralee the slight edge as having the more spectacular setting and grouping of holes. However, Tralee is susceptible to severe wind and rain conditions more often than Pebble so you better come prepared with your best gear. The turf conditions and greens are maintained in excellent shape which is quite impressive considering the exposed terrain it sits on and the number of elements it must contend with. Tralee will forever stand as the late great Arnold Palmer's finest gem on the Emerald Isle and perhaps the world. Lastly, Tralee is a walking-only course that offers pull trolleys, electric trolleys, and caddies for hire. The use of a buggy/cart is only permitted for medical reasons. Signature Hole: 3rd Hole – 194 Yard Par 3 – The 3rd hole is routed on a peninsula that marks the furthest westerly point on the course in a dramatic setting of rocks, ocean, and the remnants of a castle. This stunning one-shotter plays a shade under 200 yards from the back tees to a green defended by a trio of bunkers and with wind often coming in from the right off the ocean. 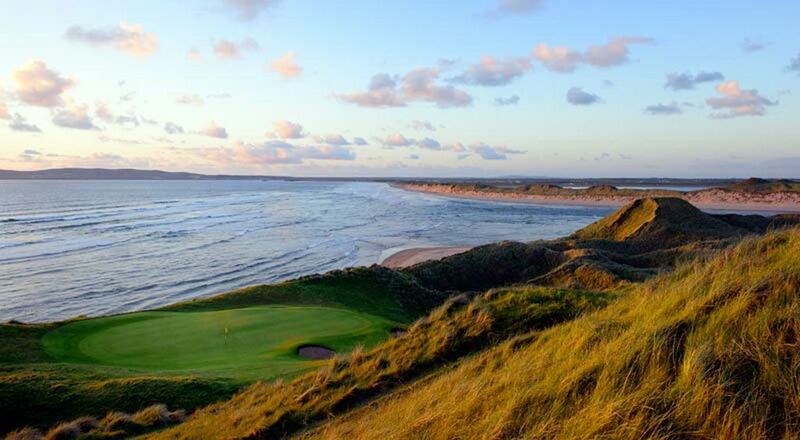 Tralee truly enjoys one of the great parcels of ground for a golf course and this hole is one of the reasons why. 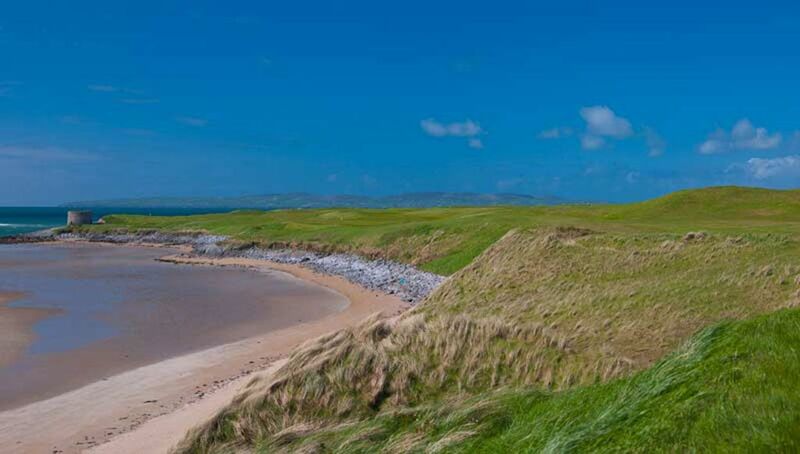 Best Par 3: 16th Hole – 199 Yards – Dubbed "Shipwreck," the final one-shotter at Tralee is this handsome hole located at Tralee northern tip. 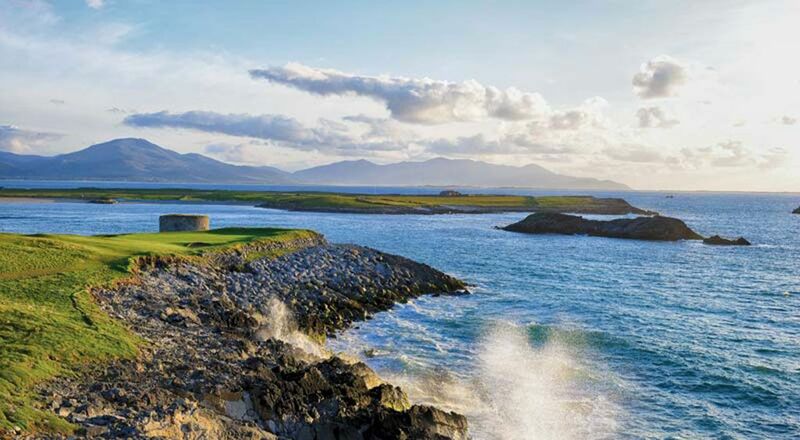 With waves rolling in from the Atlantic on your right, you can help but appreciate the setting on this hole that is the favorite of many patrons that come to Tralee. Playing just a pace shy of 200 yards, the 16th drops 20 feet from tee to green and plays over a valley to a putting surface framed by dunes on the left and rear while the ocean hugs the edge on the right. Palmer famously said that he designed the front nine but that God was responsible for the back nine and you can't help but concur with that statement here. Best Par 4: 8th Hole – 386 Yards – Another coastal beauty, the bunkerless 8th clings to the shoreline as it works from right to left with a large dune squeezing down the fairway on the right side 150 yards from the center of the green. The decision becomes whether to lay up short of the dune and take a longer approach into the green or whether to challenge the narrowing fairway with your driver with hopes of hitting a wedge tight on your approach shot. Best Par 5: 2nd Hole – 596 Yards – Arnold Palmer wasted no time getting straight to the ocean and offering players a stunning hole along her coastline. The hole is reminiscent of Pebble Beach's famed closing hole but is a bit longer and doglegs the opposite direction. The fairway begins turning 300 yards from the middle of the green and then plays straight west down the coastline to a green sitting on the rocks 20 feet above the waves of the Atlantic. Without question, this is one of the best par fives in all of Ireland and a gift from Arnold Palmer and Mother Nature for you to enjoy. Birdie Time: 15th Hole – 300 Yard Par 4 – A fun hole combined with yet another remarkable setting. Players have the pleasure of enjoying the view of an ocean inlet coming in on their right while trying to stay focused on the task on hand. In most conditions the play is to the plateau fairway before hitting a short wedge shot over a trio of bunkers to the green above. However, when the wind is at your back it may be time to cut loose the driver and take your chances at reaching the green. Whether you go for it all or not, this short hole sets up well for a birdie opportunity and is a fantastic match play hole late in the round. Bogey Beware: 12th Hole – 461 Yard Par 4 – Simply a remarkable hole that is easily the best non-coastal hole at Tralee and arguably the best on the property, though the 12th certainly has its critics. This lengthy hole doesn't need bunkers to make it tough since the approach shot here is one of the most difficult on the Emerald Isle. After playing a downhill tee shot to a blind landing area, the fairway narrows to a meager ten yards as it banks to the right around a deep chasm that comes into play 100 yards from the green and continues up near the front fringe. Playing for a five here is a wise move that members have Tralee have learned the hard way.